47 pages. Mexico is the largest automotive manufacturing country in Latin America with an annual vehicle production of nearly 4 million units. In recent years, Mexico has witnessed an influx of foreign direct investments (FDI) by major global automotive manufacturers and brands. The expansion in the automotive industry will drive demand for automotive parts including rubber products. 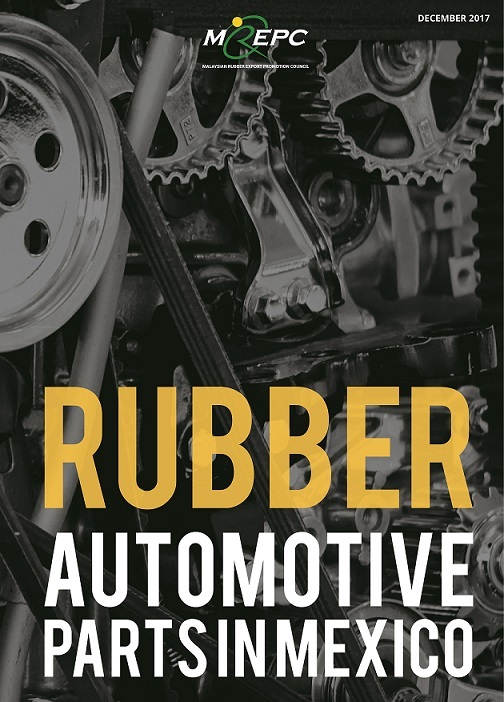 This report on the market for rubber automotive parts in Mexico aims to provide information on the automotive industry in Mexico and to explore the market opportunities for rubber parts in its automotive industry. The report was prepared based on information gathered mainly from secondary sources. The study covers both the Original Equipment Manufacturers (OEM) segment and Replacement Equipment Manufacturers (REM) segment. The report also provides updated information on Mexico’s key imports of rubber automotive parts and major exporters of the rubber products including Malaysia.